POPOYO, Nicaragua (February 11, 2019) – Malibu Popoyo, an all-inclusive boutique surf resort, today announced that it has opened its doors for business. Located along one of the best surf regions in the world known as Nicaragua’s Costa Esmeralda, Malibu Popoyo aims to revitalize the mind, body and soul through an intuitive and immersive experience that caters to surfers, as well as yoga enthusiasts and adventure travelers. The beachfront resort offers access to more than 10 untapped, world-class surf breaks within an easy 30-minute drive – including Colorados and Popoyo, site of the 2015 ISA World Surfing Championship. Opening with six guestrooms that combine natural, raw materials and culturally significant elements to create a luxurious yet minimalistic boutique hotel experience, Malibu Popoyo will undergo an immediate expansion to add an additional six guestrooms; a new beachfront area featuring an intimate yoga palapa doubling as an entertainment area for live music; an upgraded spa experience; a beachfront bar; bonfire pits and much more. The expansion is set for completion in spring 2019, just before peak surf season, and will offer a truly unparalleled experience for surf and wellness enthusiasts. Later this summer, Malibu Popoyo will also welcome top names in surf as host to exclusive Surf Week retreats. From August 8-14, Josh Kerr and Damien Fahrenfort lead guests in fine-tuning surf technique on fast, hollow waves and barrel riding master classes. On September 15-21, Taylor Knox joins renowned surf coach Matt Griggs in his holistic course in personal performance, both in and out of the water. A first-ever for the Americas, Griggs’ development week will include daily meditation, group workshops, one-on-one coaching sessions, surf activities and time for reflection with customized journals. All-inclusive rates for each intimate weeklong retreat are $4,300 per surfer, and spouses and non-surfing partners stay for free. Grounded in Nicaragua’s rich culture, Malibu Popoyo is a dreamy surfer’s paradise. The resort is neighbor to 10 premier surf breaks all within 30 minutes, offering something for everyone with waves that range from longboard peelers and beach breaks to fast and hollow reef breaks. The hotel’s name itself pays homage to Chang Sheppard’s home breaks in Malibu, Calif., the “birthplace of surf” in the United States, while showcasing the hotel’s Nicaraguan roots. During guests’ stay, a personal surf guide is offered to provide friendly instruction and local insight on conditions as part of the all-inclusive resort experience, along with unlimited complimentary transportation to nearby breaks. Inspired by elements of traditional Latin American housing, the bespoke guestrooms are private yet welcoming, each offering a king-sized bed, garden atrium sitting area, and semi open-air rain showers and vanities. Luxury imported linens and locally sourced amenities are featured in all rooms and suites; and three of the six guestrooms offer a loft area featuring an additional queen bed, high ceilings and sliding windows that allow for maximum light and an added connection to the property’s natural surroundings. Three meals daily per person, excluding alcohol, in the onsite restaurant Sunset Cantina & Beach Bar, known for its all-organic, Nicaraguan menu inspired by ingredients from neighboring farms. Highlights include the cantina fish tacos and ceviche that spotlight the day’s catch from surrounding waters. Beyond surf and yoga, Malibu Popoyo offers access to other outdoor excursions that encourage guests to explore their surroundings. Options include hiking, kiting, fishing, horseback riding, locally led tours, cultural experiences and Spanish lessons to encourage immersion, and much more. Guests can also enjoy on-site spa services including rejuvenating massage and reflexology treatments, as well as invigorating facials. These activities and amenities are not included in the all-inclusive experience and are available at an added cost. While Malibu Popoyo values its secluded, beachfront location, the property is easily accessible via air and ground transportation. Direct flights into Managua, Nicaragua’s Augusto C. Sandino International Airport are available from major United States airports including, Dallas/Fort Worth International Airport, John F. Kennedy International Airport, George Bush Intercontinental Airport and Miami International Airport. Visitors also have the option to fly into Costa Rica’s Liberia International Airport which offers connecting flights into Managua, an easy 2-hour car ride, or arrange for a private plane landing in Nicaragua. Ground transportation to and from the airport and to various destinations within the community can also be booked through the resort. All-inclusive opening rates for double occupancy will start at $150 per night. For more information, please email hello@malibupopoyo.com or visit www.malibupopoyo.com and follow the resort on Instagram at www.instagram.com/malibupopoyo and on Facebook at www.facebook.com/malibupopoyo. 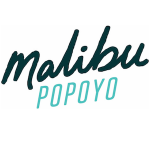 Current images of Malibu Popoyo can be downloaded here. Located on the beautiful bays of Nicaragua’s Costa Esmeralda, Malibu Popoyo is an all-inclusive, authentic beachfront wellness oasis catering to surfers, yoga enthusiasts and adventure travelers. Grounded in Nicaragua’s rich culture, Malibu Popoyo is a surfer’s dream come true, neighboring 10 currently untapped, world-class surf breaks within 30 minutes. 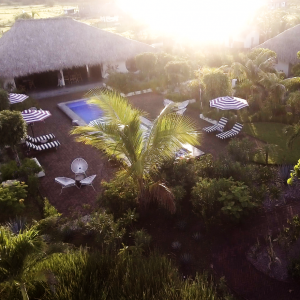 The boutique hotel also offers an all-inclusive experience, allowing guests to fully immerse themselves in the surrounding Nicaraguan culture and experience the magic of Popoyo. For more information, email hello@malibupopoyo.com and visit www.malibupopoyo.com. Follow the resort on Instagram at www.instagram.com/malibupopoyo and on Facebook at www.facebook.com/malibupopoyo.